Eket THE Senate Minority Leader, Senator Godswill Akpabio, has urged youths to stay away from anti-social vices and use their times wisely to pursue many educational programmes that are available nationwide. Akpabio stated that education is the most important tool for youth to attain greatness,bnoting that many adults regret how they led their lives as they busied themselves pursuing various anti-social causes. He said this at the weekend during Ati Annang Foundation meeting at its International Secretariat in Ikot Ekpene. The senate minority leader, while commending the foundation for honouring a cultural group, Uko Akpan, for preaching the value of education in his songs, added that with education, one can conquer the world and occupy key positions. He maintained that one of the greatest achievements the state has recorded in the last 10 years was to stop the ‘house girl’ and ‘gate man’ syndrome. “I am glad that 10 years after, we have been able to reclaim respect. You don’t need to come from a wealthy family for you to be great. Just focus on your studies. As long as you have God by your side, He will elevate you. “What a beautiful thing youth is, but what a pity that youthfulness is given unto children! If youthfulness were to be given to adults, they would have reordered their ways, especially those who wasted their youthfulness. “Members and non-members of Ati Annang, Akwa Ibom North West Senatorial District and Akwa Ibom youths, note today that God has given you youthfulness, use it to prepare for your tomorrow to be greater than your fathers. “We are here to back you up. You cannot be afraid of goats when you walk on a field and be escorted by a lion,” he said. The event featured the admission of new membershas well as presentation of leadership prize wards to the Akwa Ibom State governor, Mr. Udom Emmanuel and Akpabio for their exemplary leadership qualities towards the development of the state. The highpoints of the event which was well attended by senior citizens, traditional institutions, socio-political groups, and captains of industries was the unveiling of the various projects executed by the foundation including the presentation of school bags with writing materials and reading books to over 500 pupils of primary schools drawn from the Senatorial District, in support of the free and compulsory education policy of the state. 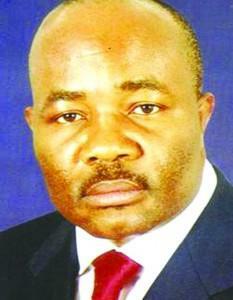 The post Cultism does not pay, embrace education, Akpabio urges youths appeared first on Vanguard News.